56 Station Approach, Hayes, Bromley, Kent BR2 7EJ, UK. 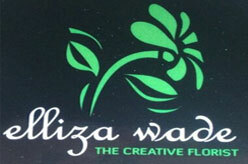 Elliza Wade Florist, Bromley same day flower delivery BR1 2. Opened in 2002, Elliza wade the creative florist delivering stunning bouquets, handtieds and floral arrangments throughout Bromley, local areas, national and world wide. Greater London BR2 7EJ, UK. Previous Mirror Mirror Bridal, Angel & Park Rd London, UK.